[INQ. NO. 1309M07] NNN Korea has steadily accumulated its invaluable and competitive asset of such global recognitions as good grades of reliability evaluation for its products from Mercedes-Benz in Germany and Magna in Canada. It maintains its export drive further targeting top-notch global other auto makers. 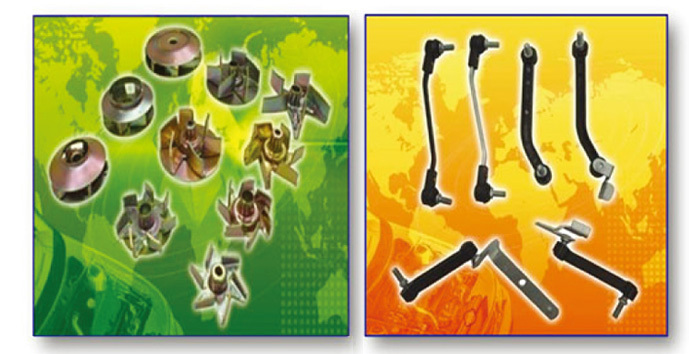 This company advancing into foreign markets now has a full line-up of impellers for water pumps, radiator caps, starter motor bodies, sway bars for headlight turning angle boosters, CE frames, and many kinds of fine stamping products, so that the maker can respond to any complicated orders of its clients all over the world. The impellers for water pumps, radiator caps, etc. are the driving force in the advances of the company into competitive markets now. Germany(Mercedes Benz), Australia (APV automotive) and Canada (Magna Powertrain) are current hot regions and markets. Such global certifications as ISO14001, ISO/TS169949, etc. also are of basic components behind an active expansion of its global presence. 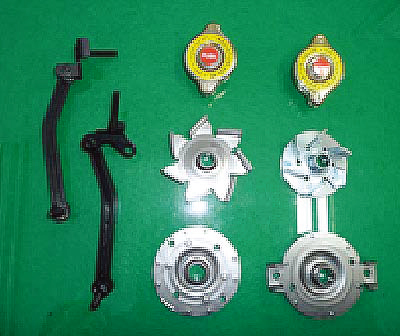 NNN Korea is a well-known manufacturer of steel stampings for automobile, machinery parts, etc. in Korea. The company enjoys a good reputation with high quality, on-time delivery and reasonable prices of products, from domestic to overseas customers. Especially, its flagship products, Sway Bar Linkages, have been supplied to Mercedes Benz, Germany, for the first time among the companies in Korea. Various kinds of auto parts with its steel stamping facility can be developed more speedily than those of comparable manufacturers and according to a customer’s specific requirements. And art-of-state technologies of long-time experienced engineers with certificated quality control enables this company to deliver its competitive products to world major tier 1 suppliers of automobile manufacturers such as Magnapowertrain, RemyKorea, GMB, NTN, SKF,APV, etc. who are currently supplying their top-quality items to such top-level auto makers around the world as Daimler AG, GM, Hyundai & Kia, Toyota, Renault, Ford, etc.